W4WN Radio - Women 4 Women Network - All Women's Radio > W4WN Live Radio Shows > A New Spin on Salads – Fearless Fabulous You! Do you eat deconstructed salads? Sometimes I like to arrange the different ingredients separately in a pretty presentation on a plate; other times I just toss them all up in a bowl. With farmers markets in full season now, I find it hard to pass up any fresh fruits and vegetables. Every salad I prepare is like colorful art on a plate. A new spin on salads that are as pretty to look it as they are to eat. In Elizabeth Howes‘ new book, “The Modern Salad,” you ‘ll new ways to prepare and enjoy salads so pretty you will want to spend more time photographing them than eating them. But, don’t hesitate to dive in while they are still fresh and fabulous. 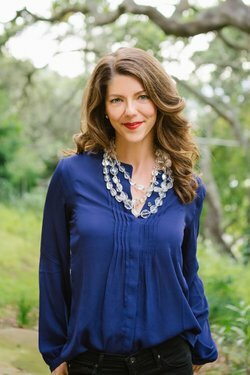 Author and Chef Elizabeth Howes says her book, “The Modern Salad,” was inspired by the Burmese tea leaf salad. We’ll discuss today at 4:25pmET today. Or listen anytime on iHeart.com and the free iHeart App. Live Mondays 4pm EST on W4WN and rebroadcast permanently on Heart.com and the free iHeart App. Or, cut and paste this link to scroll through episodes. I’m giving away one free copy of my second book, Fearless Fabulous You! Lessons on Living Life on Your Terms! each month. To enter to win your copy come on over to www.melanieyoung.com and join my fabulous list of healthy conscious women (and a few great men) to learn more fabulous tips. Both books are available nationwide on Amazon, Barnes & Noble and CureDiva as well as independent booksellers.